As the CEO and chief editor of the recently launched book publishing company, Adir Press, I read with great interest Rabbi Tzvi Gluckin’s recent article featured on NLEResources.com about self-publishing. While our services at Adir Press do include self-publishing and e-book publishing, I wanted to primarily explain the benefits to regular publishing and why that may or may not be a more preferable option to the self-publishing option described in the other article. In addition to the great potential for Kiddush Hashem, writing a book is a fantastic way of communicating your thoughts, chiddushei Torah, hashkafa, skills and/or advice to a wide audience — most of whom you may have never met, and may never meet. Take your average campus kiruv rabbi. He has been on campus for a few years and delivers a compelling weekly shiur on Derech Hashem. His countless hours of effort reap great success. The many students regularly attending his classes gain a tremendous amount from the rabbi’s ability to clearly convey the depth and breadth of the Ramchal’s sefer. Now, let’s say this rabbi made methodical notes preparing his classes, or even recorded the Shiurim (which can now be transcribed). By writing, editing and publishing his chiddushim on Derech Hashem, his book can potentially reach, inspire and educate thousands of people worldwide. Now, from that one book, the campus rabbi can become an established authority on Derech Hashem, leading to speaking engagements and future job opportunities. I am not exaggerating — I have seen this happen when people have set pen to paper (or finger to keyboard)! That all sounds amazing. So, should you write a book? It depends. I will focus on whether someone should write a book (or more accurately, whether they should be published) a little bit later in the article. At this point, I want to introduce a topic that has direct relevance to the kiruv campus rabbi mentioned above: self-publishing. 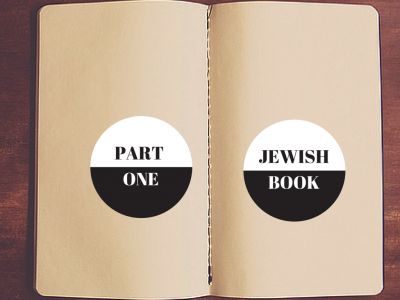 The basics of typical self-publishing as described in Rabbi Gluckin’s article are as follows: With relative ease, little cost, and no oversight by editors or proofreaders, you can produce your very own book in physical or digital form. With the arrival of such companies as CreateSpace, Lulu and Lightening Source, you can become a world-famous author… sort of. While technically your book will be available to be shipped (or downloaded) anywhere in the world, that doesn’t necessarily make you a world-famous author. After all, how many books are you going to sell? So who are these self-publishing websites good for? They are great for authors with a wide readership, perhaps through a website or personal blog. They are also great for people who are only really interested in selling their own book after teaching a class. Even though the cost of producing each individual book is significantly higher than printing with a publisher, it’s a great way to make money, cutting out the middlemen (publishers, distributors, and stores) and keeping 100% of the returns. Alternatively, they also provide a growing community of writers the means to publish on-demand books, such as chidushei Torah, that otherwise would have been financially prohibitive to print. As mentioned above, Adir Press does offer authors the opportunity to self-publish using CreateSpace, etc., but the caveat is that the book be professionally edited, proofread, cover designed and typeset by our staff. So why would you choose this option? If you are one of the people I mentioned above (you have a world-wide following, go on speaking-tours, desire on-demand books) and want to keep printing costs to a minimum, this is a potential option for you, even though I regularly discourage it for the reasons I’m about to mention. But, if you don’t have a large following, or you aren’t giving speaking tours, or you do want your book to be available in Manny’s, Eichler’s, and Torah Treasures, you will need a publisher and a distributor. For example, Feldheim Publishers is the distribution partner of Adir Press. Let’s return for a moment to the kiruv campus rabbi we mentioned above — what type of publishing company should he opt for? Buyers of sefarim do recognize the difference between self-published books and those published by a known publisher. Books published by known publishers generally possess a better reputation for quality writing, rabbinic supervision, and marketing. In contrast, self-published books may not have the same credibility. What are the publishing options out there? There are two basic arrangements offered by publishers, with the most common as follows: You submit a manuscript. If it’s accepted, they’ll publish your book, cover all the production costs, and pay you a small royalty for the books sold. The second option, which many authors whom I publish prefer, is a type of partnership-publishing. This basically involves the author paying for all, or a proportion of the full production of a book. The benefit of this agreement is that the royalty commission reflects the author’s input and perhaps more importantly, the author can take as many of his books as he wants. If the writer attracts a large readership or does speaking tours, he can take all the books he wants, sell them for 100% of the profit and the remaining are sent to stores worldwide. 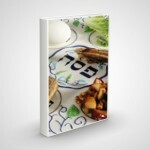 I was recently sitting with the head of one of the major Jewish publishing companies and I asked him outright, “Why aren’t books selling so well nowadays?” He answered me that twenty years ago, your average housewife spent $100 on five novels to enjoy during Pesach Chol HaMoed, whereas today, they buy the bumper edition of Mishpacha, Ami, and Bina for $15 and still can’t get through all of it! The other reason is the vast quantity of books available today. For this reason, it’s becoming harder and harder to get a publisher to accept full costs. Although the truth is, if you do have such a good product, it may be worth personally investing the money into partnership-publishing and taking a much larger royalty (especially if you can get your book sponsored). Rabbi Moshe Kormornick is the CEO and Chief Editor of Adir Press. He is also an alumnus of Rav Yitzchak Berkovits’ Jerusalem Kollel, and Ner LeElef. To see what some of Adir Press’ authors have had to say about their experience, click here. To submit your manuscript to Adir Press, click here. GUEST POST: Part 2—A Guide to Writing, Publishing & Distributing a Jewish Book GUEST POST: How to Write & Self-Publish a Jewish Book GUEST POST: General Tips for Writing GUEST POST: FREE New Guide & Important Resource: 2-Minute Daily Elul Guide For Today’s Busy Jew FREE New Book & Important Resource: Guide to Traditional Jewish Observance in a Hospital!